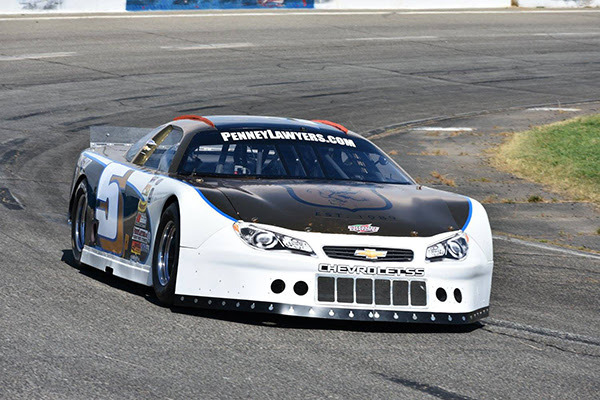 SACRAMENTO, CALIFORNIA (February 14, 2018) – The Pacific Challenge Series presented by PenneyLawyers.com has continued to develop its calendar for 2018 with the addition of two races at Anderson’s Shasta Speedway. The 3/8ths mile speedway will host the Super Late Model series on April 21st and June 23rd. Shasta Speedway has been a wildcard track for the last two years in the PCS, and a large part of why the series has enjoyed very few drivers able to earn repeat wins. A strong contingent of local teams with PCS equipment makes for a fan-friendly show. Tracy Bolin and Derek Copeland each earned their first career series wins at the speedway. In 2013, the series visited Shasta four times with Eric Schmidt earning a remarkable sweep of the races en route to the PCS championship. 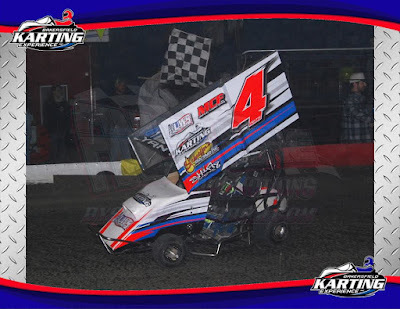 The races at Shasta join previously announced events on March 17th and August 11th at the one-third mile Madera Speedway, July 21st at the historic Stockton 99 Speedway, and October 13th at Roseville’s All American Speedway. An additional two more races at Roseville are expected to be confirmed along with one or two more races TBA to bring the tour to a nine or ten race campaign for 2018. 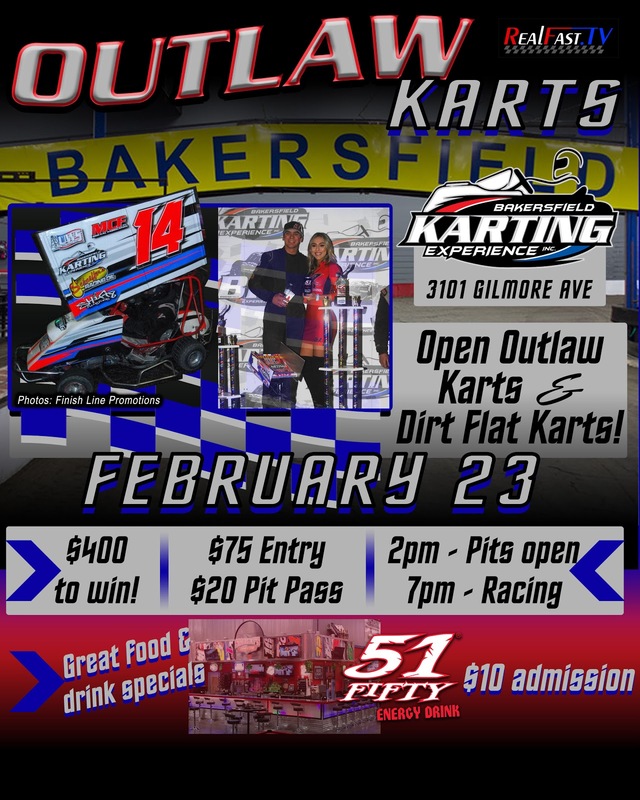 BAKERSFIELD, CALIFORNIA (February 13, 2018) – The fast-growing Open Outlaw Karts at Bakersfield Karting Experience continues this Friday night, with racing on the indoor 1/10th mile dirt oval. The 25-lap feature will pay $400 to win out of a $1000 purse for a series that has averaged 20 entries in its inaugural season. Bakersfield Pro Stock champion Tim Randolph won the series debut in December before IMCA Modified standout Ethan Dotson claimed round two. 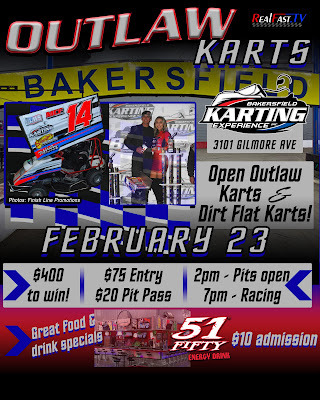 The Bakersfield Indoor Kart Nationals in January say the preliminary $400 to win to Bakersfield Speedway Modified champion Brad Pounds. 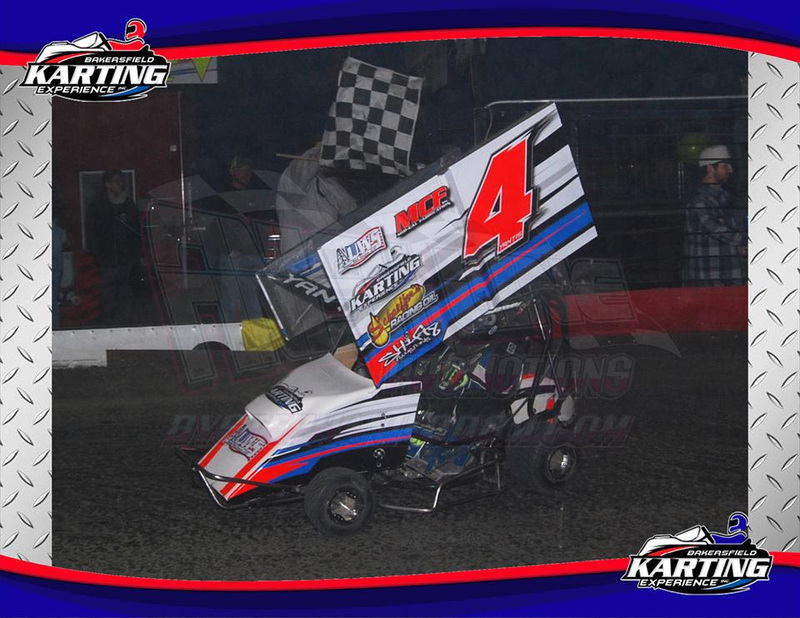 Bakersfield Kart Raceway veteran Tate Sanders won the $1000 finale of the nationals. Pounds currently enjoys a 22 point advantage in the standings. General admission tickets will be $10 for Friday night with live music adding to the festivities. Pit gates open at 2 p.m. with drivers meeting at 6:30 p.m. and racing at 7 p.m. Pit passes are $20.